Cyberlink PowerDVD Copy is popular as the top-ranked DVD backup software. However, it has a big drawback that it can't backup copy-protected DVD discs with CSS and other DVD copy protection schemes. This feature drives people to look for an alternative to PowerDVD Copy to copy commercial DVDs. Fortunately, with technology developing, many similar programs to PowerDVD Copy are poping up equipped with more powerful functions. In this article, we will introduce 5 replacement softwares for PowerDVD Copy, some are free while some are paid. PS: If you want to take your DVD movies with you on the road, or just want to clean up those physical discs but keep your films and TV shows on your HTPC, you will need to rip DVDs first. Therefore, the best 5 DVD Copy software to alter PowerDVD Copy we collected here not only can copy DVDs but also can rip and convert DVD to digital files to make you watch DVD movies on your iPhone 7 plus, Samsung Galaxy S8 Plus, iPad 2017, iPad Pro, etc. EaseFab LosslessCopy is more powerful than PowerDVD Copy. It's shown in 4 aspects. 1. EaseFab LosslessCopy can 1:1 backup DVD to video folder with quality loss and also can directly backup DVD main title removing extras. 2. As a paid PowerDVD Copy alternative, EaseFab ByteCopy can decrypt commerical protected DVD discs and convert DVD Video-TS folder, DVD IFO/ISO files and Blu-rays. 3. Not like PowerDVD Copy, EaseFab LosslessCopy also can convert DVD to lossless/uncompressed MKV files and multi-track MP4/MOV files. 4. You are allowed to trim DVD, remove DVD audio, convert DVD to audio, add subtitle to DVD, extract DVD subtitle to SRT and more. You can't find the official site of this free alternative to PowerDVD Copy but you still can download it from CNET site. This is an almighty DVD copy designed to meet all your needs in copying CD/DVD to blank CD/DVD disc; burning video, ISO Image file and VIDEO_TS to DVD disc; grabbing data audio to MDS mirror image files; grab audio track to WAV file. For the more, it can convert DVD to other supported video formats, such as MPEG1, MPEG2, AVI formats. EaseFab DVD Ripper is a multi-functional PowerDVD Copy replacement program that enables you to easily manipulate DVD video files, convert them, extract them or copy them onto discs. 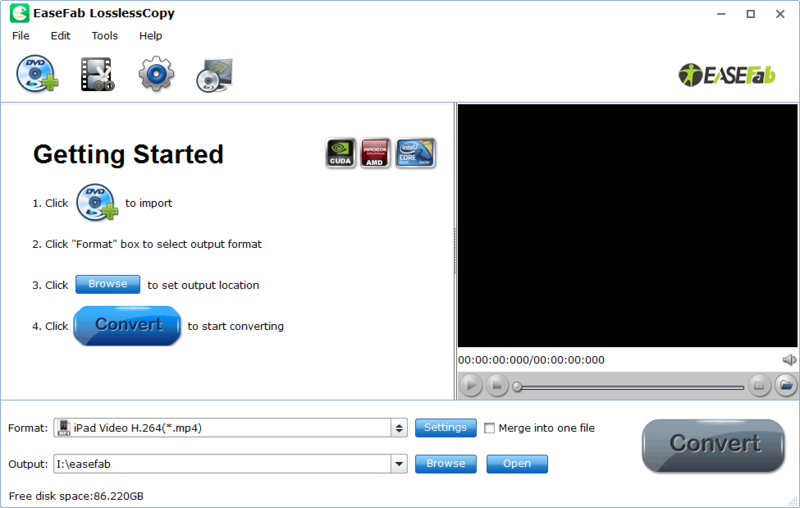 The software is capable of acquiring the video content from CDs and DVDs, convert them, save them to the computer or copy straight onto another disc. Easy CD DVD Copy is somewhat outdated same as PowerDVD Copy. Easy CD DVD Copy is easy to use with neat interface without any complicated parameter settings. Easy CD DVD Copy supports audio CD, data CD, bootable CD, data DVD, bootable DVD, not encrypted DVD movie, and D9 DVD. You are not only able to copy your CD/DVD collection to blank discs, but also copy CD or DVDs to ISO files, copy ISO files to CD or DVDs. Fancy DVD Copy is an efficient and simple PowerDVD Copy alternative software for you to copy any DVD movie to blank DVD or hard disk, even if you are a novice user. It can copy any DVD without any loss of quality or shrink DVD9 to fit on a 4.7GB disc. It can also copy main movie or split DVD9 to 2 4.7GB discs. Copying DVD disc to folder only can make you protect DVD discs and save your DVD videos on hard drive or NAS. Relatively, it will be better to rip DVDs so that you can play DVD movies on portable devices and multimedia devices at Home Theater. So when you are considering the alternative to PowerDVD Copy, a commercial replacement that can rip DVD will be great.